The polypropylene freezer boxes from NextDayScience are suitable for both refrigerator and freezer storage for temperatures as low at -80C and as high as 121C. The boxes have hinged translucent lids and numbered cavities. 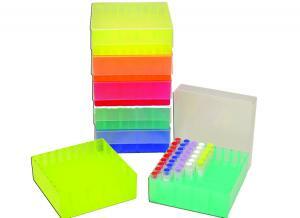 They are available in a rainbow pack of assorted colors for easy identification of samples and are stackable with a no-slide feature. 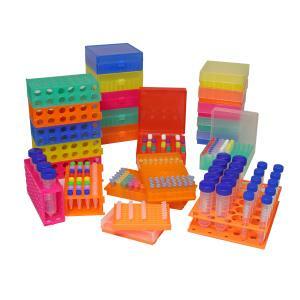 They are autoclavable with numbered tube wells and will prove to be an indispensable storage set for your laboratory.